WILLIAM EDWARD WYATT was born in Manchester, in the British Province of Nova Scotia, on the ninth day of July, seventeen hundred and eighty-nine (to Mary Winslow and James Wyatt). The next year his parents removed to the City of New York, where he was brought up, and educated at Columbia College, in the same class with the two Bishops Onderdonk, Bishop Kemper, and Judge Murray Hoffman. He took the degree of B. A. in eighteen hundred and nine, and that of M. A. in eighteen hundred and sixteen. It should be mentioned that he received his preparatory education at the school of the Reverend William Barry, who educated many distinguished clergymen and laymen. in the City of New York, in connection with Trinity Church. On the first of October, eighteen hundred and twelve, he married Miss Frances Billop, with whom he lived happily more than fifty-one years. They were not separated until after he was confined to his bed by his last sickness. She bore him eleven children seven sons and four daughters of whom five sons and three daughters survive; two of the sons are clergymen of the Church. Suffragan Bishop of Maryland, with a right of succession to the Diocesan Episcopate, which afterwards took effect. By this event Dr. Wyatt ceased, as the law then stood, to be Associate Rector, and became Associate Minister, with the right of succession to the rectory. To this office he was instituted in Christ Church, then a chapel of ease to St. Paul's Parish, on the sixteenth of October, eighteen hundred and fourteen. In October, eighteen hundred and twenty-seven, he became, upon the death of Bishop Kemp, the sole rector, and continued such until his death, on the twenty-fourth of June, eighteen hundred and sixty-four, more than fifty years after he had entered upon the duties of Associate Rector. During this time he twice visited Europe, in eighteen hundred twenty-two and eighteen hundred forty-five. So early as eighteen hundred eighteen, he was elected Professor of Theology in the University of Maryland, and in eighteen hundred twenty received from that Institution the degree of Doctor in Divinity. It is more important to remember that, for many years, he acted as the gratuitous Chaplain of the Maryland Penitentiary, with great industry and zeal and with very good effect. member of the House of Clerical and Lay Delegates. In eighteen hundred twenty-eight he was chosen President of the House, and afterwards re-elected seven times, until in eighteen hundred fifty-three he declined a re-election. authority of a Bishop of Maryland, so far as it could be exercised by one who was not a Consecrated Bishop. The consecration of Bishop Stone on the twenty-first of October, eighteen hundred and thirty, determined the office of the President of the Convention. some conversation, during which it appeared that Dr. Kemper would be agreeable to Dr. Johns, but not to all his friends, Dr. Wyatt formally nominated Bishop Kemper, and he was elected, by large majorities of both Orders, but declined serving. 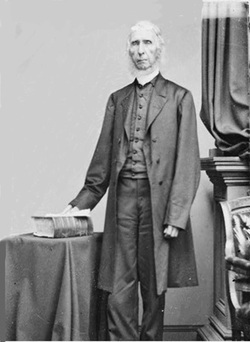 Reverend Dr. Dorr, of Philadelphia, to a joint ballot, and that he who had the majority on that ballot should not be opposed at the constitutional election. One hundred and nine votes were cast, of which Dr. Dorr received sixty-six, and Dr. Hawks forty-two. The former was afterwards constitutionally elected; but he also refused to serve. In November, eighteen hundred thirty-nine, another special Convention was held, in which Dr. Wyatt presided, and, in his address, withdrew his name as a candidate. It was agreed that two names should be submitted to the Convention, and that the Orders should ballot for them separately until the same person should have received two-thirds of the votes of both Orders, when a constitutional election should be gone into. The names fixed upon were those of Dr. Whittingham and the Reverend H. V. D. Johns. Nine ballots took place, in each of which Dr. Whittingham had a majority of both Orders, but not two-thirds of either. At the tenth ballot both names were withdrawn, and those of Drs. Wyatt and John Johns substituted for them. Among the clergy Dr. Johns had a majority of one vote. 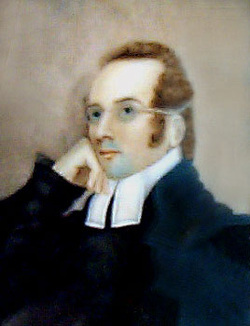 Among the laity Dr. Wyatt had a majority of eight. He then finally withdrew his name, which was not afterwards used. The Convention then proceeded to a constitutional ballot between Dr. Taylor, of New York, who had been nominated by Dr. Wyatt, and Dr. John Johns. On two ballots Dr. Taylor had a majority, but nothing like a two-thirds vote. He was then dropped, and the late Dr. George McElhiney nominated. Dr. Johns received the majority. Dr. Whittingham was then renominated, and in five ballots obtained a majority, but still not a two-thirds vote. The Convention adjourned without a choice. In the annual Convention of eighteen hundred and forty, Dr. Whittingham was elected without opposition. He was consecrated on the seventeenth of September in that year, and Dr. Wyatt finally ceased to be President of the Convention. in closing this brief sketch of the life of Dr. Wyatt, it is thought unnecessary to add any thing in the nature of a view of his character, since that will be found admirably given in the eloquent sermon of the Reverend Charles C. Grafton, which makes a part of this publication. A Memorial of the Rev. William Edward Wyatt, D.D. Rector of St. Paul's Parish, Baltimore. By the Rev. 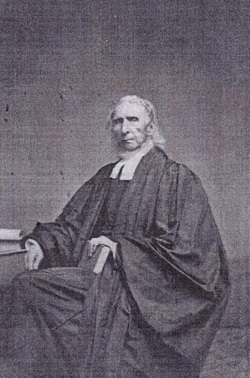 C. C. Grafton, LL. B.
Preached in St. Paul's Church, Baltimore. Baltimore: Printed by John D. Toy, 1864.